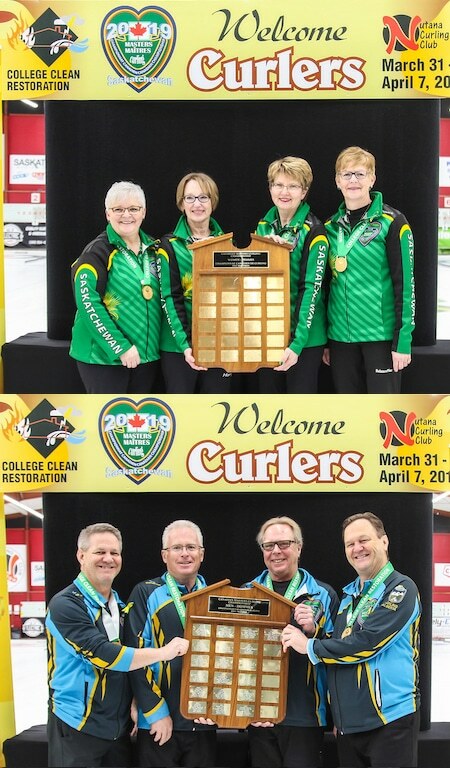 2019 2019 College Clean Restoration Canadian Masters (60 and over) Men’s and Women’s Curling Champions! Women’s champs, top, from left, Sylvia Broad, June Campbell, Beverly Krasowski, Delores Syrota. Men’s champs, bottom, from left, Kevin Pendergast, Randy Ponich, Rob Armitage, Mickey Pendergast. Delores Syrota’s Saskatchewan women’s team from Wadena claimed its second gold medal in three years (to go along with a silver won last year), while Mickey Pendergast’s Alberta men’s team from Red Deer repeated as Canadian Masters gold-medallists after its victory last year in Surrey/White Rock, B.C. On the women’s side, Syrota — backed up by vice-skip Beverly Krasowski, second June Campbell and lead Sylvia Broad — capped a perfect 11-0 performance in Saskatoon in front of friends and family with an 8-7 win over B.C.’s Janet Klebe. Syrota’s team trailed 7-5 going to the eighth and final end, but Syrota drew for the winning three to claim gold. Klebe’s team, representing the Chilliwack and Richmond clubs, was rounded out by vice-skip Kerri Miller, second Jane Adam, lead Laurie Shimizu and coach Vic Shimizu. In the bronze-medal game, New Brunswick’s Sharon Levesque (Fredericton), backed up by vice-skip Susan Jonah, second Shawn Stubbert and lead Eleanor Murray, was a 10-3 winner over Ontario’s Jan Carwardine (vice-skip Louise Germain, second Judy MacLellan, lead Sandra Thain, coach Roy Weigand; Toronto). 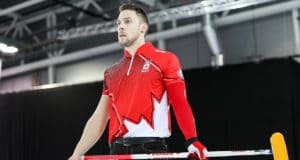 Pendergast, meanwhile, added a second straight gold medal to his collection by beating a familiar face — Northern Ontario’s Al Hackner (Sudbury) — 8-4 in the final. Pendergast was backed up by vice-skip Rob Armitage, second Randy Ponich and brother Kevin Pendergast, while the Hackner team featured Eric Harnden, Frank Morissette (a longtime rival of Pendergast when he lived in Calgary) and Bruce Munro. 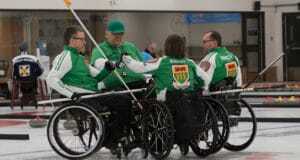 Brad Heidt’s Saskatchewan team (vice-skip Terry Marteniuk, second Randy Graham, lead Dan Ormsby; Kerrobert) captured the bronze medal with a 9-3 victory over B.C.’s Lyle Boyce (vice-skip John Lapointe, second Don Pennell, lead Tom Green; Campbell River). The 2020 Canadian Masters Curling Championships will take place in Saint John, N.B.